Real Salt Lake • It scores four in second half to blow it open. Carson, Calif. • Real Salt Lake, loser of four of its last five, needed to get a win to climb out of the Western Conference standings cellar. 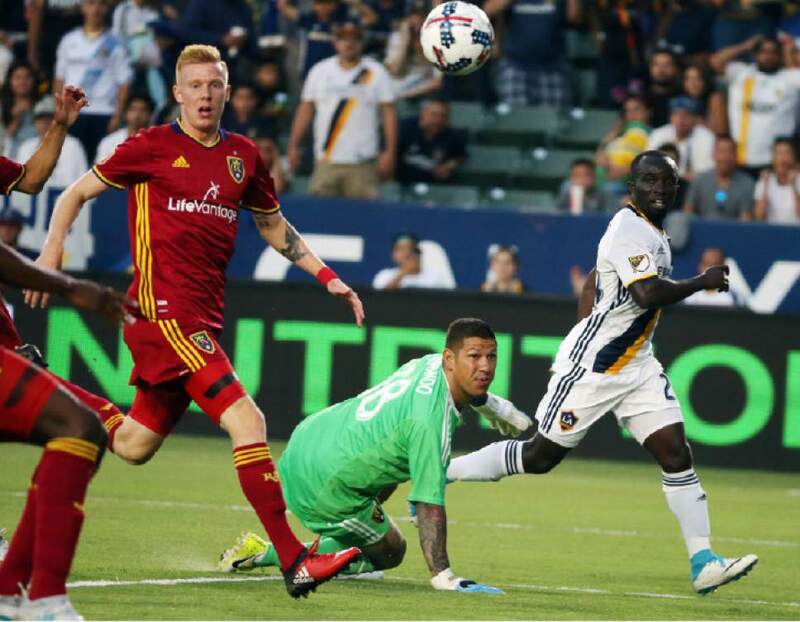 RSL got its much-needed win Tuesday by drubbing the L.A. Galaxy 6-2 at the StubHub Center. 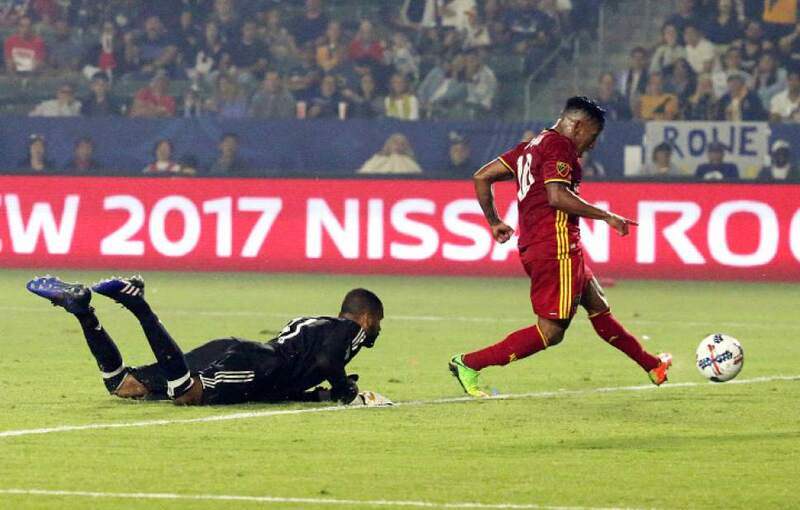 The last time RSL won at the StubHub Center was a 1-0 decision March 8, 2014. RSL was slow out the gates, but a 2-1 halftime lead ballooned in the second half after sustained pressure against the Galaxy&apos;s backline. 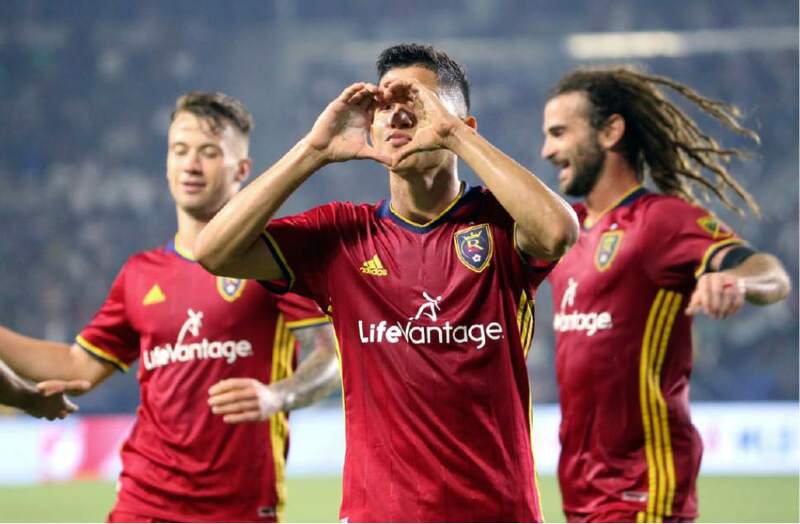 Albert Rusnák scored a goal and assisted on another, while Jefferson Savarino exploded for two quick goals to push RSL to victory in the second half. "We have talked about the excitement of having those two on the field together," RSL coach Mike Petke said. "One out wide, like we did tonight, one centrally." The Galaxy held the majority of the possession early on. 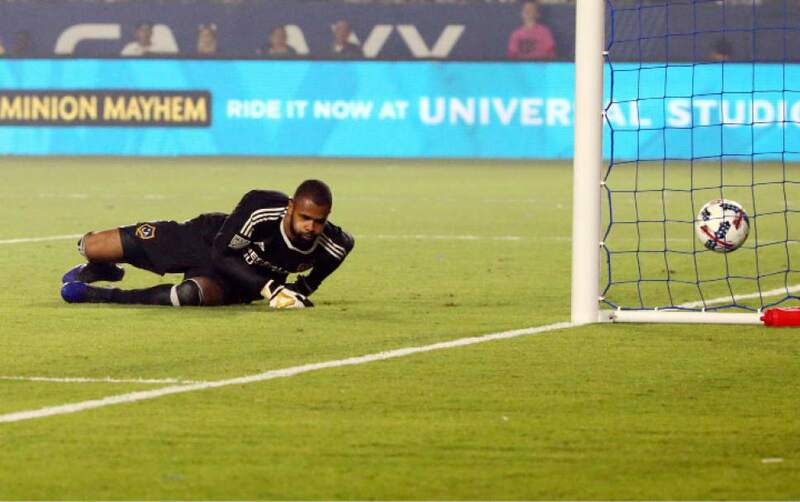 Emannuel Boateng got in one-on-one with RSL keeper Nick Rimando in the 16th minute and elected to chip the ball, but Aaron Maund cleared the shot off the line as Rimando smothered the rebound to end the threat. "Very, very important. I&apos;ll tell you why  psychologically," Petke said about the clear. "This is a team that, psychologically, we&apos;re getting better. But an early goal has really put us under a lot of times this year. If that goal goes in, perhaps the outcome is a little different." RSL then began to put pressure on the Galaxy, which paid off in the 36th minute when Luke Mulholland sent Rusnák through down the left flank. Rusnák took the ball onto his right foot and curled it by Clement Diop to give RSL a 1-0 lead. "I saw an open space, so my only thing on my mind was going to the goal and shooting," Rusnák said. 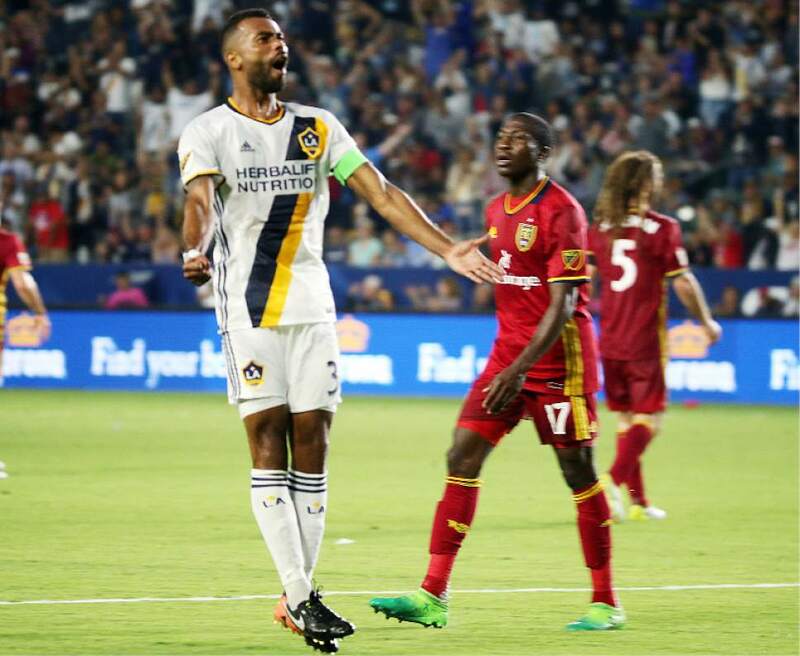 The Galaxy equalized in the 41st minute when Jose Villarreal chipped the ball over RSL&apos;s backline, finding Ashley Cole, who slotted the ball into the bottom corner. 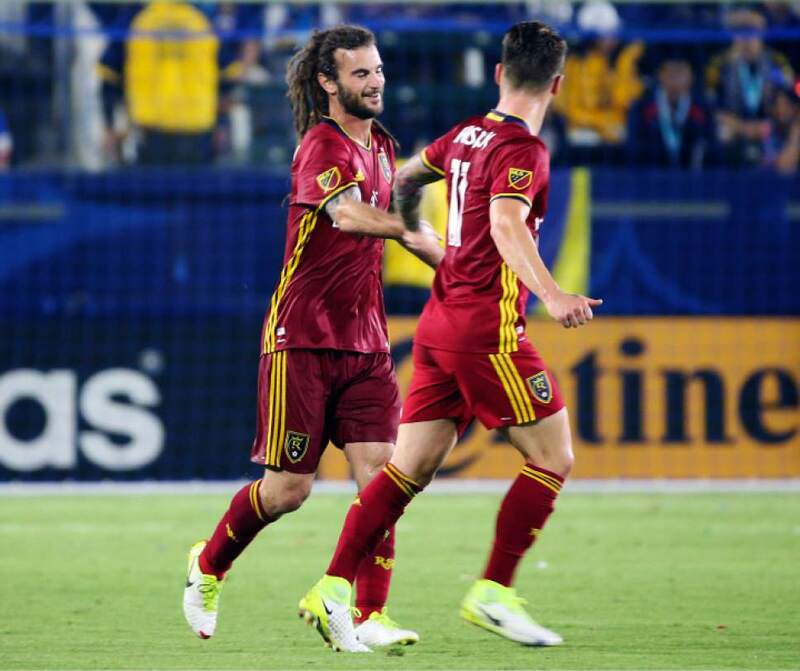 RSL retook the lead in the first-half stoppage time after Rusnák crossed a right-footed corner from the right flank and found a diving Kyle Beckerman, who headed home RSL&apos;s second score and a 2-1 halftime lead. After the intermission, the Galaxy subbed on designated player Romain Alessandrini, who entered with eight goals in 16 appearances. No problem. RSL doubled its lead in the 63rd minute after Rusnák switched the ball to Demar Phillips, who fired a low cross from the left wing and found a wide-open Yura Movsisyan at the 6-yard box for the tap-in to make it 3-1. The Galaxy headed away a corner kick in the 72nd minute, but it found Savarino, who took the ball onto his right foot and found the corner of the Galaxy&apos;s goal. Rimando made a big save to keep the game 4-1, and RSL repaid its goalkeeper by scoring a fifth goal on a rebound off a Rusnák shot that fell right in front of Savarino for the finish. 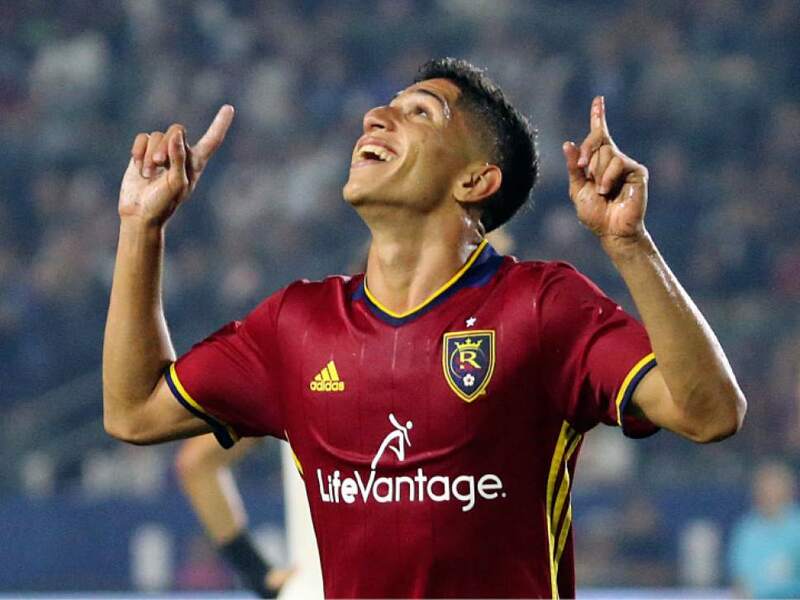 RSL added another goal when Joao Plata got behind the Galaxy backline after receiving a pass from substitute Brooks Lennon. Plata rounded Diop and tapped home RSL&apos;s sixth goal of the night. The Galaxy got a goal back in the 90th minute, but the damage was done. R Patience pays off for RSL after passes and crosses in the final third failed to find their intended targets early on in the match. • Albert Rusnák continues to prove how vital he is for RSL in the attack, notching an assist and a goal. • RSL ends its seven-match road losing streak.